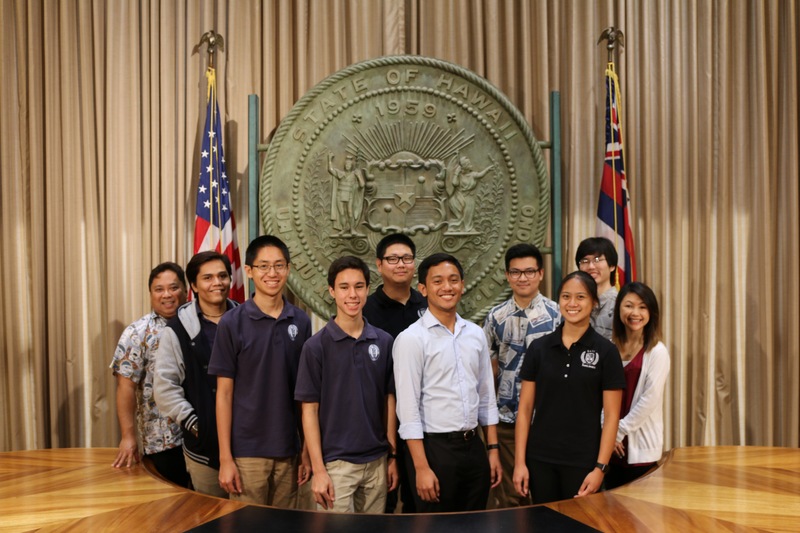 The winning teams from the Hawai’i Code Challenge to improve government services. They may look young — heck, they are young — but don’t let that fool you. The winners of the recent Hawai‘i Annual Code Challenge (HACC) performed like pros as they developed computer applications to improve state government services. The competition, initiated by Governor Ige and coordinated by the state’s Office of Enterprise Technology, drew 27 teams of more than 200 coders who tackled solutions ranging from helping with referrals for homeless families to scheduling jail visitations and information for college-bound students. The biggest winner, though, will be the state of Hawai‘i as it taps the talents of the local tech community — a priority of the Ige administration — to show that homegrown coders can help solve government problems in cost-effective ways. “You should have seen the energy in the room,” said the governor, who served as one of the HACC judges. “A lot of them were students — some of whom had never entered a competition like this in their lives.” The winners included teams from Kamehameha Schools and Honolulu Community College (HCC) as well as coders from the professional tech community. First place team member Christine Joy Rioca said she was grateful for the opportunity to apply the skills she learned in HCC’s Computing, Electronics and Networking Technology (CENT) program. “I see myself as a future network administrator for the state of Hawai‘i or a local tech company. Tech IS the future,” she said. Todd Nacapuy, organizer of the competition and chief information officer, is already looking forward to the next HACC and said, “The state needs to nurture the next generation of tech specialists and find jobs to keep them in the islands. The future of our state depends on it.” He announced the second HACC is set for Aug. 26, 2017. Read more in our December issue.